Today, Canon have announced the latest addition to their premium G range of compact digital cameras - introducing the Canon PowerShot G1 X Mark III - a follow-up to 2014's G1 X Mark II. This latest iteration brings some significant upgrades from the previous model, both inside and outside - you can find all the details about the Canon PowerShot G1 X Mark III over on the Park Cameras website. 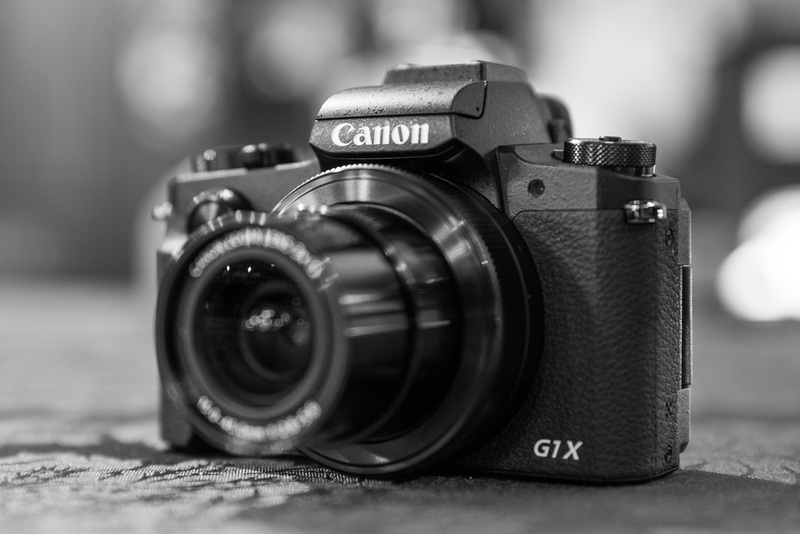 In this blog, we're comparing what's changed from the G1 X Mark II - what's new, what's different, what's stayed the same so you can decide whether this is the camera for you to upgrade to or join Canon's G-range with as a new camera. 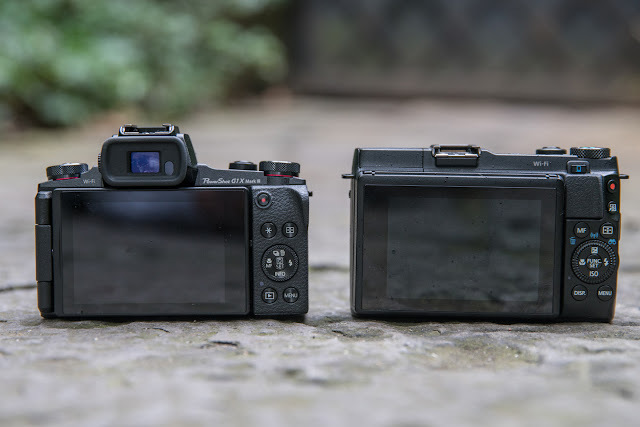 Lining the Canon PowerShot G1 X Mark III up against its predecessor the G1 X Mark II, there are some immediate and rather obvious differences to note. 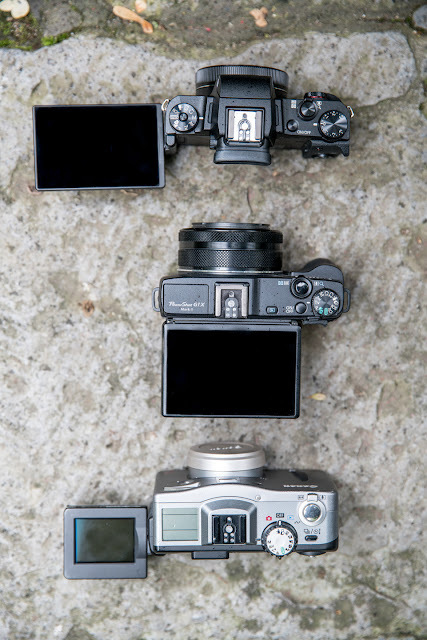 Probably the most obvious difference is the addition of an EVF unit on the top of the camera. You'd be forgiven for assuming that this makes the camera bigger and bulkier than its predecessor - but you'd be wrong. While the G1X Mark III is indeed slightly taller (by 3.9mm), it's actually 1.3mm narrower and a whopping 14.8mm shallower, and despite all the new tech that Canon have crammed into this camera, it's also a huge 157g lighter than its predecessor. This really is a compact powerhouse of a camera. With nearly double the megapixel count, image quality has been vastly improved in the Canon G1 X Mark III from the G1 X Mark II. Although megapixels are a significant element in determining image quality, it's the increase from a 1.5-type (1.5 inch) sensor to the 24.2 megapixel APS-C the G1 X Mark III uses that makes the biggest difference - this bigger sensor means more detailed images with greater colour detail. With a bigger sensor and more megapixels in the G1 X III than the G1 X II, video quality has taken an equally sizeable leap forward. While the G1 X II was only able to shoot at 30p in Full HD, the G1 X Mark III is now capable of up to 50p in Full 1080p HD. The new model still uses the same MPB MPEG-4 AVC/ H.264 compression. Canon have a (rather nice) habit of developing technology for their flagship cameras which then trickles its way down into the rest of their range. In this case, their outstanding Dual Pixel CMOS AF autofocus system makes an appearance in the PowerShot G1 X Mark III - bringing superior focusing all round using the EVF or LCD Touchscreen. One of the biggest physical differences from the Canon G1 X Mark II to the G1 X Mark III is the addition of a 3.0 inch vari-angle LCD touchscreen on the back - a decent upgrade from the 3.0 inch tiltable touchscreen we found on the G1 X Mark II. This new vari-angle touchscreen allows users to flip the screen out to the side (which makes the camera a viable option for Vlogging/Blogging & selfies. Another rather obvious physical difference is the addition of a dedicated, in-built electronic viewfinder on the top of the PowerShot G1 X Mark III. The Canon G1 X Mark II didn't feature a viewfinder of any kind, which means all shooting was done via the LCD monitor (or an optional EVF that attached to the hotshoe). However, including an EVF on the G1 X Mark III makes this camera more akin to mirrorless cameras such as the Canon EOS M5 than its compact camera brethren. 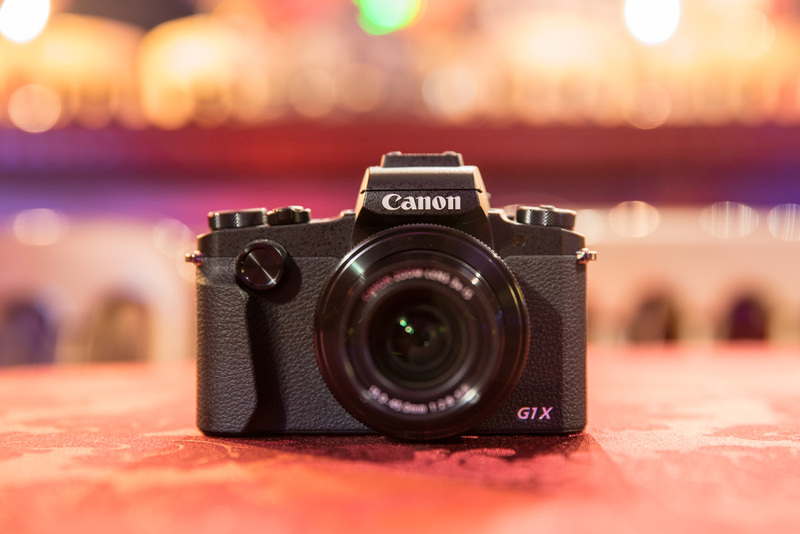 The Canon PowerShot G1 X Mark III is a compact camera in the purest of definitions - noticeably smaller, lighter and more feature-packed than its predecessor, the G1 X Mark II. The addition of shooting aides such as the EVF and Vari-angle touchscreen make the G1 X Mark III a lot more user-friendly than the Mark II. And with a larger APS-C sensor with nearly double the megapixels, alongside Canon's latest DIGIC 7 image processor and Dual Pixel CMOS AF, this is a winning combination that makes the Canon G1 X Mark III a welcome and noticeable upgrade from the Mark II. The Canon PowerShot G1 X Mark III is available for pre-order today from Park Cameras with stock due in November 2017. This misses the fact that at f5.6 at full zoom giving a 8mm maximum aperture this large sensor is being illuminated through a smaller hole than any of the 1" sensor compacts. Not a lot of use being made of this large sensor except wide open.